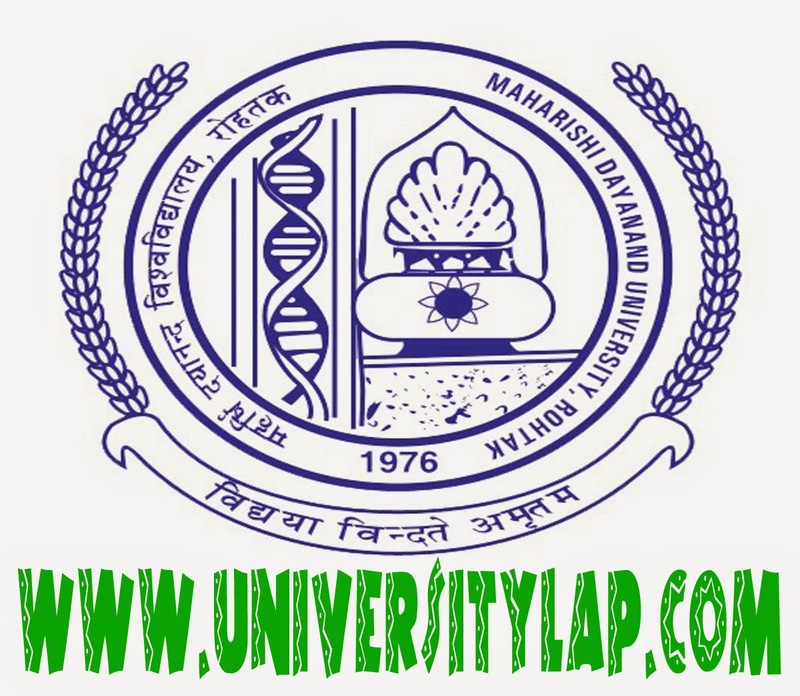 Theory Date sheet of MBA 2 Year 1st and 2nd Semester Examinations to be held in August, 2014.
mdu date sheet of MBA 2 Year 1st Semester Time of Examination: 2.30p.m. to 4.00p.m. 13.08.2014 Computer Application in Mgt. 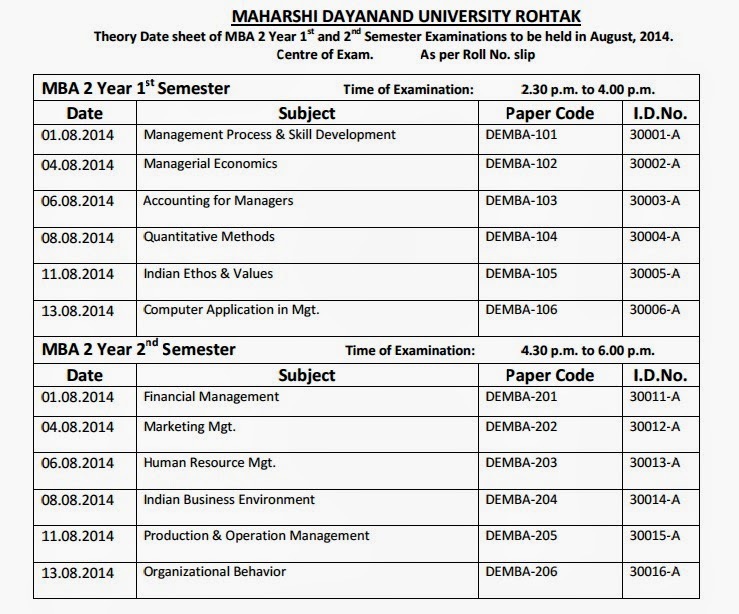 mdu date sheet of MBA 2 Year 2nd Semester Time of Examination: 4.30p.m. to 6.00p.m. for more details please visit to official website of mdu.